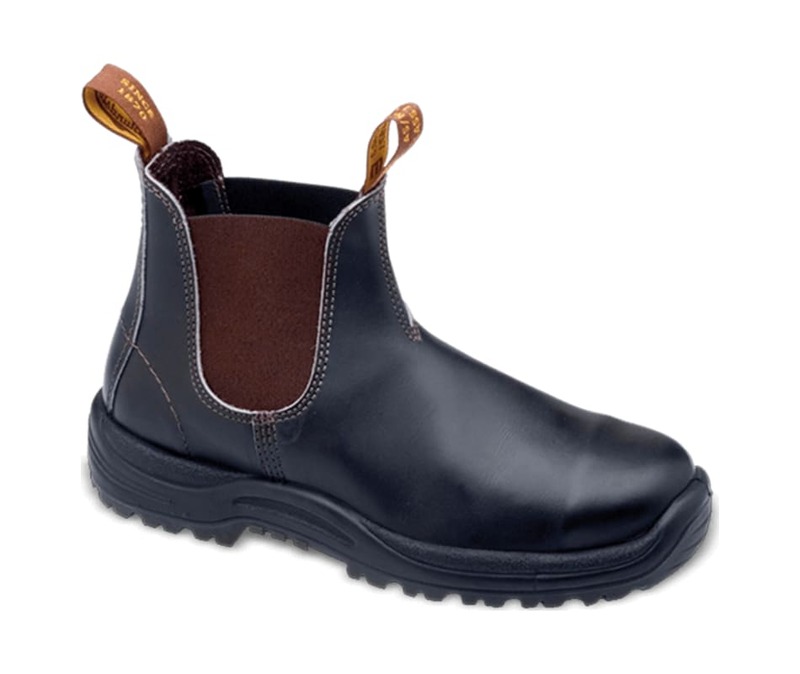 A slip-on safety boot for that quick pull on, kick off appeal. The tough kick guard on the toe saves you from damaging scuffs and cuts in the critical contact zone. Stout Brown Premium Leather. Polyurethane midsole for comfort. Thermo urethane outsole highly resistant to hydrolysis and microbial attack. Removable xtreme comfort EVA footbed with XRD heel and forepart inserts providing greater comfort. XRD in the heel strike zone for improved shock absorption. Electrical hazard resistant. Steel shank for maximum torsional stability.